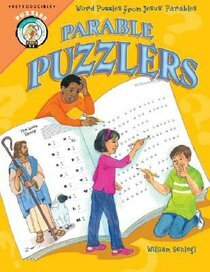 Developed for students in grades four through six, these reproducible puzzles can supplement any religion curriculum and give students additional exposure to God's Word after their other work is completed. Each activity includes a brief Bible connection to one of Jesus' parables, directions, a code puzzle, a drawing activity, and a short writing activity. Each puzzle solution is a Bible verse, building, and reinforcing language and problem-solving skills.